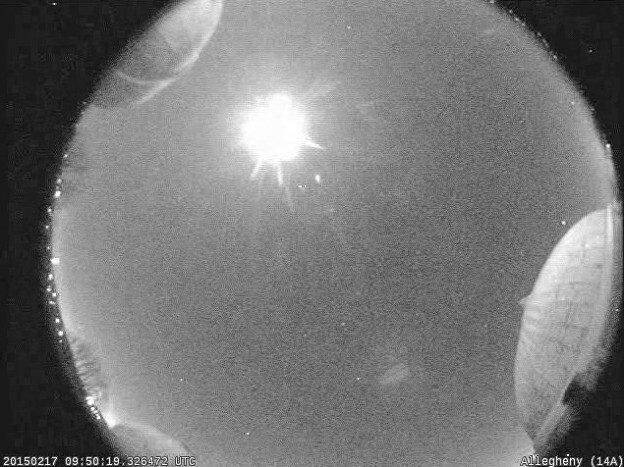 A very bright fireball seen over New York, Ohio, and Pennsylvania at 4:45:17 EST this morning, February 17th. It was captured by three NASA cameras. The video came from a NASA camera located at Allegheny Observatory near Pittsburgh, PA. The other two cameras are located at Hiram College and Oberlin College, both in northern Ohio.